This September, Price Chopper/Market 32 teamed up with the American Red Cross, NewsChannel 13 and iHeartMedia for the ‘Give What Fire Takes’ campaign. All month long, funds were raised to provide relief to families affected by home fires and to support home fire prevention efforts. 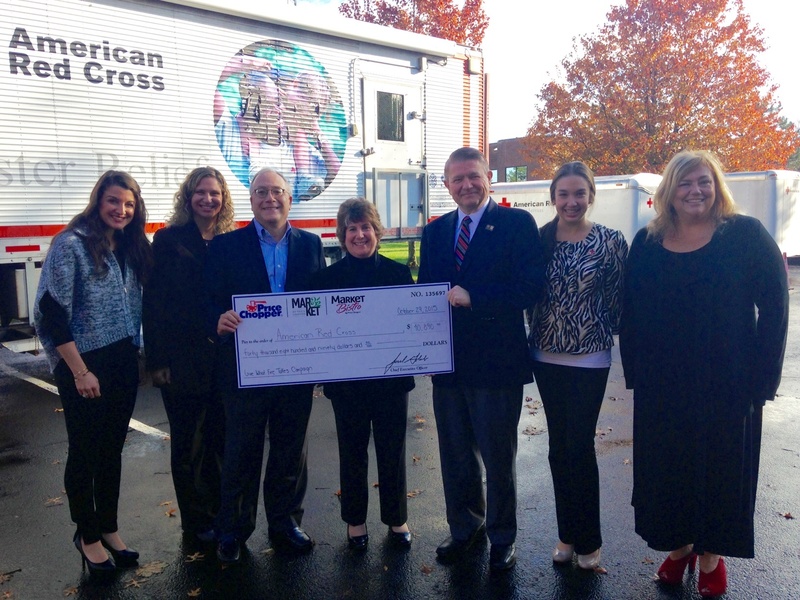 Today, representatives from Price Chopper/Market 32 and NewsChannel 13 gathered at the American Red Cross office in Albany to present a check for $40,890 to Red Cross Home Fire Relief. The check included $30,890 in donations from Price Chopper/Market 32 teammates and customers, plus a $10,000 match from the company. Each year, the American Red Cross responds to more than 500 home fires in the Eastern New York Region. Across the United States, the Red Cross responds to a home fire or other emergency every 8 minutes. All gifts made to Red Cross Home Fire Relief through the “Give What Fire Takes” campaign will be used to provide critical services to people impacted by home fires, along with lifesaving tools and information to support home fire prevention efforts. For more information about home fire relief and prevention efforts in the Eastern New York Region, please visit redcross.org/eny/homefires.